There’s a curious trend creeping westwards. From Paris to London, and allegedly now all the way over the Atlantic to New York, more and more bars and restaurants are switching on to a new craze: decanting champagne. Yes, for a habit that wine connoisseurs worldwide have been practising for years, the French are now claiming that decanting the bubbly stuff is one of the best ways to enjoy it. 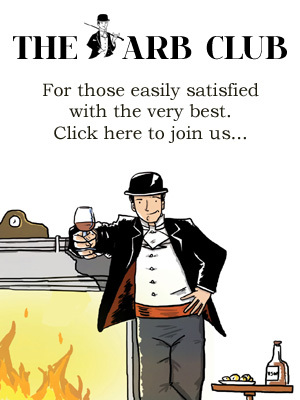 To begin the London chapter, the capital’s handful of Searcys Champagne Bars are amongst the forerunners of this new movement, and to prove the point, I was invited along to a special ‘decanted champagne’ tasting. Upon arrival we were served a glass of Billecart Salmon Extra Brut NV in one of the bar’s iconic, tall and slim flutes (they’ve even had a dishwasher specially commissioned to wash them in). With glass in hand we were reminded how far the glassware alone has come in recent history – flutes are traditionally used to the keep the mousse of the champagne alive, with the rough spots on the bottom allowing the beads to rise, yet with yesterday’s saucer-style glasses (think Audrey Hepburn and Breakfast at Tiffany’s) there is no opportunity for the bead to flow in the same way, so all mousse is lost very quickly. The use of these old saucer-style glasses can be likened to eating a block of cake from a glass – less appealing to the senses in all possible ways. Of course, in reality the best glass for serving champagne is a Burgundy glass – as demonstrated if you ever drink prosecco or FranciaCorta in Italy – to really open up the nose and the bouquet, but as the grand majority of consumers like to maintain the occasion of drinking champagne, Searcys serve their offerings by the flute. Of course this sense of occasion is multiplied further with the use of a decanter – half the reason behind it, says Angelina from Billecart Salmon – the first of the champagnes we are set to compare. “It is a special drink that should be enjoyed in a suitably special way.” Decanting champagne releases all the delicate aromas and flavours of the wine, and as with good, older vintage wines, there are certain styles of champagne that better pertain to this method of enjoyment than others. “It needs to be high pressure champagne, not a cremant or anything too old” says Michelle Cartwright, Concept Manager of Searcys Champagne Bars. Of course unlike vintage wines, the time spent in a decanter is far shorter for champagne, and it should be served immediately after decanting so that the mousse remains intact. Angelina from Billecart Salmon explains how their version of the Champagne Decanter has been modelled on their original ‘modern day’ 1950s champagne bottle, first designed by Nicolas Francois Billecart, giving roundness to the wine and calming the bubbles that can be a little aggressive to begin with. She talks about the trend coming over from Paris and how it represents a new way of thinking amongst sommeliers, wine producers and consumers alike, just in the same way that the glassware we drink champagne from has evolved. It might be very on trend, but there’s also the science behind it, aerating the bubbles to make the drink all the more enjoyable. We try the Billecart-Salmon Vintage 2004 (£85.00), launched 2 years ago when it was considered ready to drink. It is decanted from the bottle coloured ‘dead leaf’ rather than green – “for clarity”, she explains. You can tell this wine – a sparkling, 30% chardonnay, 70% Pinot noir and 20% – has been vinified in oak from its apply, oaky aromas. The non-decanted version is toasty, with a classic brioche champagne nose and a lemony, honey dry palate. The decanted version by comparison is much more open and there are redolent hints of almond and richer lemon notes. Our second comparison tasting is the older Nicolas Francois Billecart 1998. This vintage is a blend of 60% pinot noir and 40% chardonnay made from grand cru grapes only. The notable lack of the pinot meunier in both these champagnes, we are told, is because these grapes don’t age well. Pinot noir and chardonnay can age slowly but often very well, ranging from between 10 -15 years or up to 25 years when stored in very good conditions. This time there is only a very subtle difference between the two, but the decanted version is still apparently fuller and softer on the mouth. Searcys cleverly denote which champagnes ought to be decanted by using a small ‘D’ icon next to their menu’s list of all things bubbly. Other champagnes that we tried comparatively against these decanted versions on the night were a Pommery Brut Royal NV – a fresh and alive ‘Brut revolutionary’ due to its lower dosage specifically designed for the British market – and an English sparkling wine from Hush Heath Winery in Kent. This exclusive English pink fizz is produced by Richard Balfour-Lynn whose winery was launched in the Garden of England’s Marden just the day before. Attendees included the likes of Gerard Basset, one of the world’s most accomplished sommeliers who was also awarded an OBE in the recent Queen’s birthday honours list for his services to the wine trade, showing resolutely how these English sparklers are something to be watched. Richard’s Balfour Brut Rosé 2006 is a low dosage sparkling wine, influenced by the great French champagne houses such as Billecart Salmon, and has already won a series of awards in blind tasting competitions, beating Veuve Cliquot and Laurent Perrier to name but a few. It has notes of pomegranate rose petals and quince, and is beautifully delicate. The mild Kent climate and a cleverly planned production system makes sure that Balfour’s wines remain the amongst the best English mèthode traditionelle that money can buy. Not bad for a winery that not long ago was nothing more than a cow shed. So whether you are a die-hard English Rose, keen follower of Parisian trends, a sucker for champagne’s heady aromas or simply a fan of all things bubbly, you’ll now know what the new Epernay etiquette requires and, more importantly perhaps, where the best place is to apply it. Find your nearest Searcys bar on their website.